Charlotte and Chase were born October 18, 2006. The twins were 3 months old when the Figis’ lives changed forever. Charlotte had just had a bath, and Matt was putting on her diaper. The seizure lasted about 30 minutes. Her parents rushed her to the hospital. A week later, Charlotte had another seizure. This one was longer, and it was only the beginning. Over the next few months, Charlotte — affectionately called Charlie — had frequent seizures lasting two to four hours, and she was hospitalized repeatedly. Doctors were stumped. Her blood tests were normal. Her scans were all normal. But she didn’t grow out of it. The seizures continued. The hospital stays got longer. One of the doctors treating Charlotte thought there were three possible diagnoses. The worse-case scenario? Dravet Syndrome, also known as myoclonic epilepsy of infancy or SMEI. Dravet Syndrome is a rare, severe form of intractable epilepsy. Intractable means the seizures are not controlled by medication. The first seizures with Dravet Syndrome usually start before the age of 1. In the second year, other seizures take hold: myoclonus, or involuntary, muscle spasms and status epilepticus, seizures that last more than 30 minutes or come in clusters, one after the other. At that time, the Figis said, Charlotte was still developing normally, talking and walking the same day as her twin. But the seizures continued to get worse. The medications were also taking a toll. She was on seven drugs — some of them heavy-duty, addictive ones such as barbiturates and benzodiazepines. They’d work for a while, but the seizures always came back with a vengeance. When Charlotte was 2½, the Figis decided to take her to Children’s Hospital Colorado. A neurologist tested her for the SCN1A gene mutation, which is common in 80% of Dravet Syndrome cases. After two months, the test came back positive. Matt, a Green Beret, decided to leave the military. They were quickly running out of options. They considered a drug from France. Doctors suggested an experimental anti-seizure drug being used on dogs. Paige took her daughter to Chicago to see a Dravet specialist, who put the child on a ketogenic diet frequently used to treat epilepsy that’s high in fat and low in carbohydrates. The special diet forces the body to make extra ketones, natural chemicals that suppress seizures. 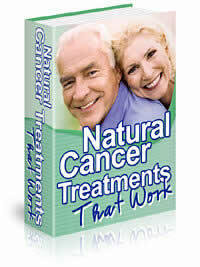 It’s mainly recommended for epileptic patients who don’t respond to treatment. The diet helped control Charlotte’s seizures but had a lot of side effects. She suffered from bone loss. Her immune system plummeted. And new behavioral problems started popping up. Two years into the diet, the seizures came back. In November 2000, Colorado voters approved Amendment 20, which required the state to set up a medical marijuana registry program. 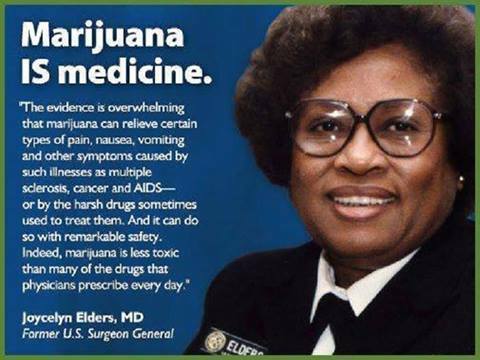 There are eight medical conditions for which patients can use cannabis — cancer, glaucoma, HIV/AIDS, muscle spasms, seizures, severe pain, severe nausea and cachexia or dramatic weight loss and muscle atrophy. The average patient in the program is 42 years old. There are 39 patients under the age of 18. Paige had consistently voted against marijuana use. That was before Dravet Syndrome entered their lives. Matt, now a military contractor spending six months a year overseas, used his spare time scouring the Internet looking for anything that would help his little girl. He found a video online of a California boy whose Dravet was being successfully treated with cannabis. The strain was low in tetrahydrocannabinol, or THC, the compound in marijuana that’s psychoactive. It was also high in cannabidiol, or CBD, which has medicinal properties but no psychoactivity. Scientists think the CBD quiets the excessive electrical and chemical activity in the brain that causes seizures. It had worked in this boy; his parents saw a major reduction in the boy’s seizures. By then Charlotte had lost the ability to walk, talk and eat. She was having 300 grand mal seizures a week. 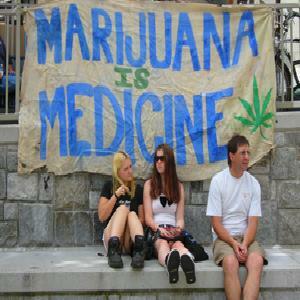 CNN’s Special Reports by Dr. Sanjay Gupta showing the clear proven medical benefits of marijuana . Her heart had stopped a number of times. When it happened at home, Paige did cardiopulmonary resuscitation until an ambulance arrived. When it happened in the hospital, where they’d already signed a do-not-resuscitate order, they said their goodbyes. Doctors had even suggested putting Charlotte in a medically induced coma to give her small, battered body a rest. She was 5 when the Figis learned there was nothing more the hospital could do. That’s when Paige decided to try medical marijuana. But finding two doctors to sign off on a medical marijuana card for Charlotte was no easy feat. She was the youngest patient in the state ever to apply. Scientists don’t fully understand the long-term effects early marijuana use may have on children. Studies that show negative effects, such as diminished lung function or increased risk of a heart attack, are primarily done on adult marijuana smokers. But Charlotte wouldn’t be smoking the stuff. Childhood is also a delicate time in brain development. Preliminary research shows that early onset marijuana smokers are slower at tasks, have lower IQs later in life, have a higher risk of stroke and increased incidence of psychotic disorders, leaving some scientists concerned. Is medical marijuana safe for children? “Everyone said no, no, no, no, no, and I kept calling and calling,” Paige said. She finally reached Dr. Margaret Gedde, who agree to meet with the family. The second doctor to sign on was Alan Shackelford, a Harvard-trained physician who had a number of medical marijuana patients in his care. He wasn’t familiar with Dravet and because of Charlotte’s age had serious reservations. Paige found a Denver dispensary that had a small amount of a type of marijuana called R4, said to be low in THC and high in CBD. She paid about $800 for 2 ounces — all that was available — and had a friend extract the oil. 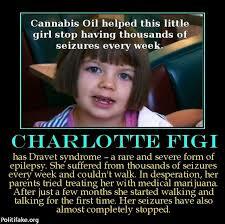 She had the oil tested at a lab and started Charlotte out on a small dose. But the results were stunning. The seizures stopped for another hour. And for the following seven days. Paige said she couldn’t believe it. Neither could Matt. But their supply was running out. Paige soon heard about the Stanley brothers, one of the state’s largest marijuana growers and dispensary owners. These six brothers were crossbreeding a strain of marijuana also high in CBD and low in THC, but they didn’t know what to do with it. No one wanted it; they couldn’t sell it. Still, even they had reservations when they heard about Charlotte’s age. But once they met her, they were on board. The brothers started the Realm of Caring Foundation, a nonprofit organization that provides cannabis to adults and children suffering from a host of diseases, including epilepsy, cancer, multiple sclerosis and Parkinson’s, who cannot afford this treatment. People have called them the Robin Hoods of marijuana. Josh Stanley said it’s their calling. They use the money they make from medical marijuana patients and get donations from sponsors who believe in their cause. They only ask patients such as the Figis to donate what they can. Charlotte gets a dose of the cannabis oil twice a day in her food. Gedde found three to four milligrams of oil per pound of the girl’s body weight stopped the seizures. Today, Charlotte, 6, is thriving. Her seizures only happen two to three times per month, almost solely in her sleep. Not only is she walking, she can ride her bicycle. She feeds herself and is talking more and more each day. The marijuana strain Charlotte and now 41 other patients use to ease painful symptoms of diseases such as epilepsy and cancer has been named after the little girl who is getting her life back one day at a time.